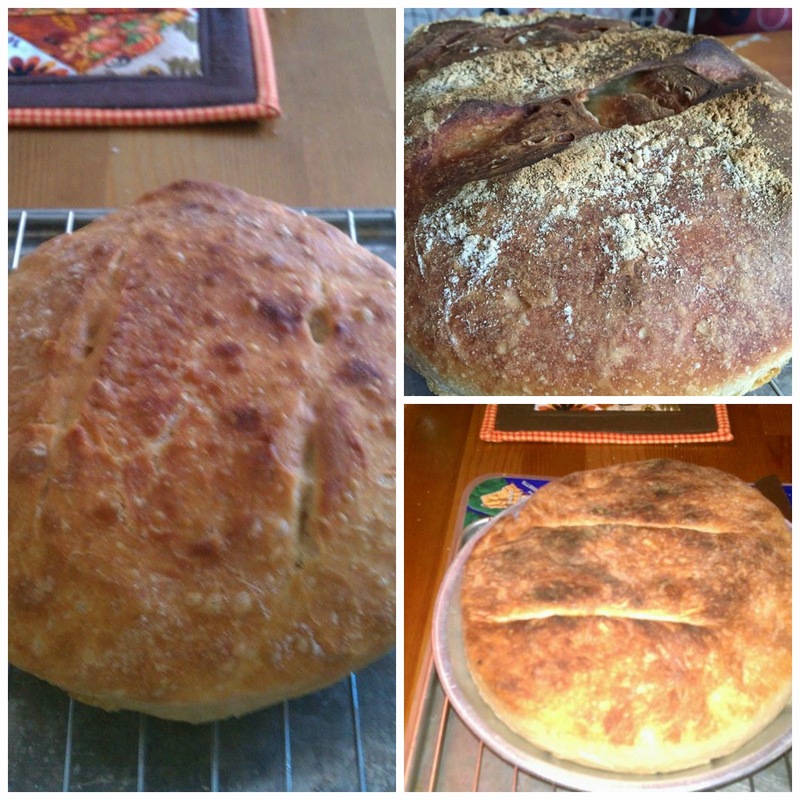 Have you ever baked your very own homemade bread in the morning and enjoy the fresh bake smell and ate it all in one sitting?Well not all but almost. Well I have. Internet is my best resource and it took me long time before I can get good at what I am learning. I would like to share how I have been doing for the last month. Hope this can save you time and trials. I assume you read about 5 mins bread, watching some YouTube video's and got a recipe . 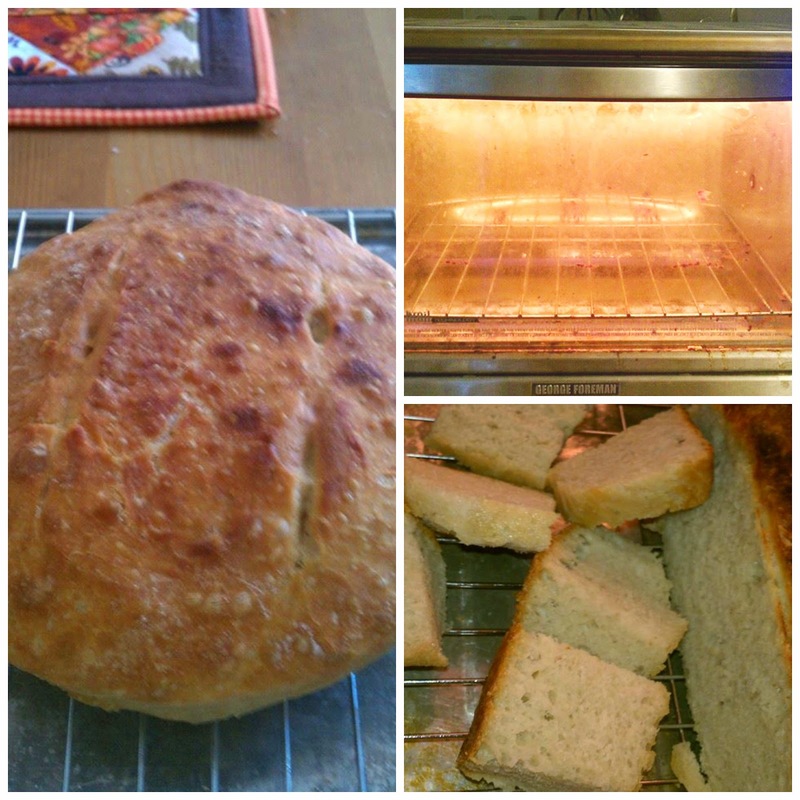 Here is the guy Artisan Bread with Steve that I follow his recipe and use the idea of 5 mins bread book. 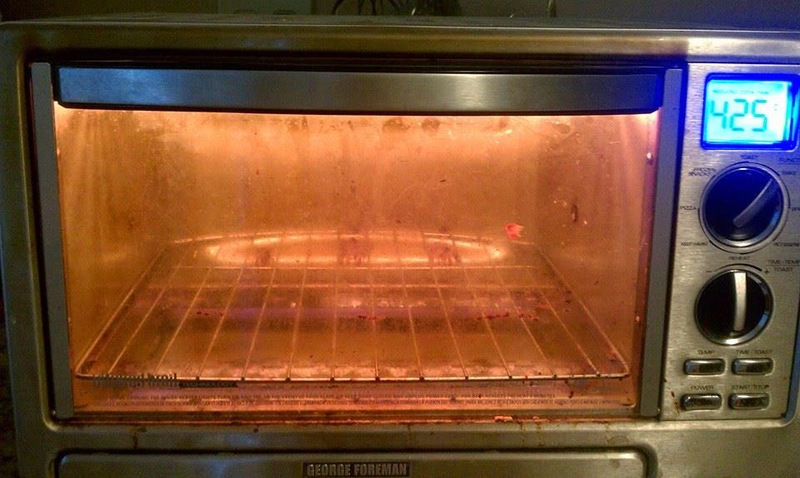 If you have toaster oven that has baking function that will save you from heating the whole house with your oven. Metal pie pan ( I use the pie pan from Marie calender ). Time in the evening if you want to have a fresh one in the morning. 1 tsp salt sometime less or more you can figure it out if you have some restriction. 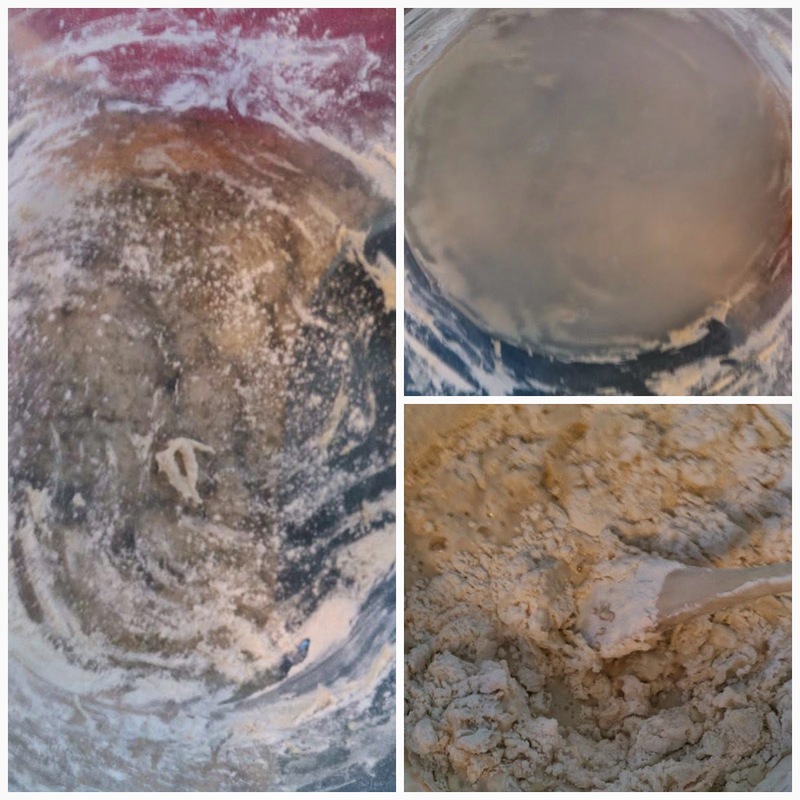 Put the dry ingredients in the container and mix then pour water and mix well. cover the lid almost completely seal leave a tiny air out and put on the room temperature counter top . (on the Conner of the room on top of the shelf somewhere ) leave it overnight. or at least 8 hours. 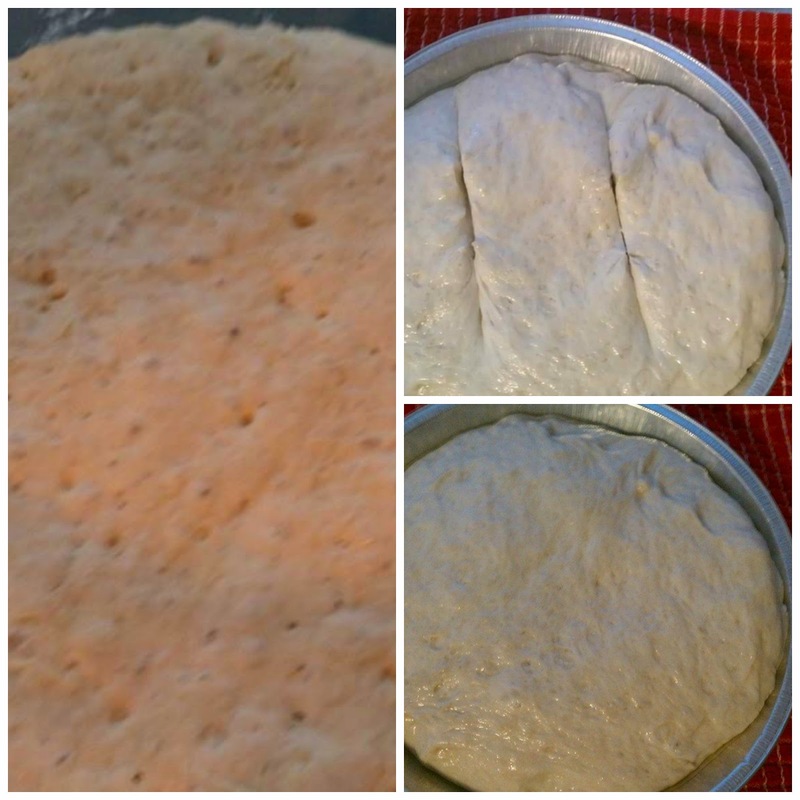 In the morning an hour before I bake I took the dough container and sprinkle the flour over it and kind na put my finger around the container so the dough came of the side. I tend to put a lot of flour since it kind a wet and I just kind na tuck the dough underneath and make it round and just lift it on the pie pan ( wait I put some oil on the pan first) slash the top twice I use sizzers to cut it then let it rest for 45 min or an hour before baking. Since I use the toaster oven I don't have to heat my oven so I just pop it in the toaster oven then it out less than 30 mins. After it done I let it rest 5 mins if it not stick to the pan I pop it out right away to the cooling rack. So got to wait until it cool down before you cut itto it otherwise you got the bread still streaming hot mushy gooey. 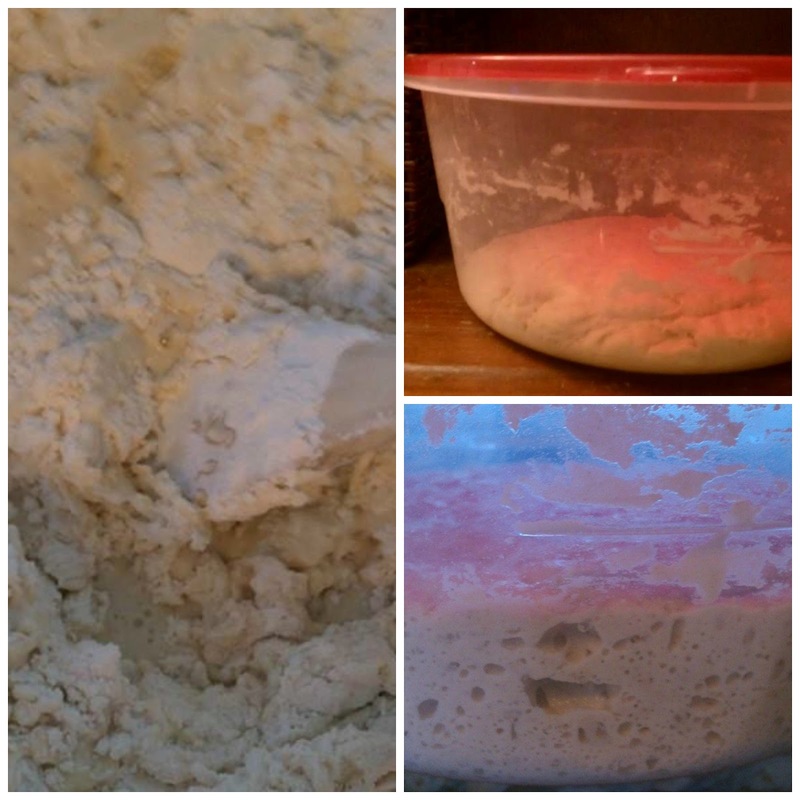 If you want to have it a little sour you just keep repeat and the steps on the same container without washing it couple time let says 3 days and your dough will develop the sour taste. Some people said that they want something fast. So this is the fastest I can do with good result so hope you can enjoy. Come back and tell me how yours tuned out.